Postcards From Across the Pond: Denied! I would like to thank you for denying my card yesterday while I was trying to make a purchase. I realize this was done for my convenience and I want you to know how grateful I am for making my convenience such a priority. Would you like me to tell you how convenient it was? Too bad, I’m going to do it anyway. Yesterday was the day I decided to book our annual excursion to the States. This is always a stressful event because it involves a lot of jockeying for position on the Holiday List (my wife that is; she is still lumbered with a job, which makes scheduling lengthy absences a trial). It is also something I do only once a year so I am not that good at it and, last but I assure you not least, it involves parting with a great deal of money. And so, after spending the better part of an hour on a popular travel site searching for flights and making comparisons and checking dates and double-checking dates and mulling over vehicle options, I eventually found myself at the virtual checkout. Gritting my teeth, I carefully entered the requisite numbers and clicked PURCHASE. Anticipating, as I was, a satisfactory conclusion to the many minutes of stress I had just undergone, you may imagine my disappointment when I was greeted instead by a message—in bold red letters—informing me that there was a problem. This unwelcome news left me with two equally unsavory options: shut it all down and try again another day, or call customer service. Twenty-five minutes later, I was talking to a customer service representative. Fortunately, my wife arrived home just then, which not only kept me from gong ballistic, but offered us a backup option, as well. I took her card, we did the number dance again and then he asked the permission of the cardholder so I had to go pull my wife away from the Real Housewives of Bayonne, New Jersey so she could tell the guy it was okay to charge her card. And thus our holiday was secured. Once the robot was assured, it confirmed what I had assumed—but hoped was not—true: that you saw I was poised to make a purchase and, not wanting me to be inconvenienced by someone who wasn’t me making a purchase on my card, you denied the charge. But…but… it was NOT unauthorized, and I do NOT want to approve it. I have already completed that purchase and if I confirm it are you going to put the charge through so I am double-billed and double-booked? So I pressed “1” hoping I would then be allowed to speak to a live human but, after accepting my answer, Ms Robot thanked me and abruptly hung up. I have a credit card so I can buy things. Does that surprise you? Apparently, it does. I understand the need for security and all that, but is there a limit to what I can buy? 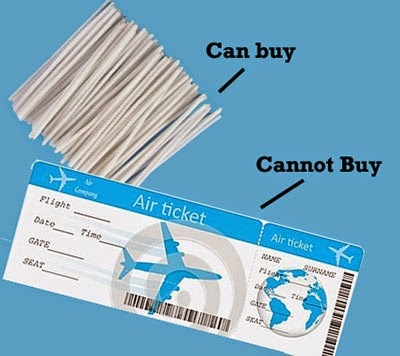 Plane tickets are too much, but the 300 pipe cleaners I bought from Amazon last week, that was okay. So, presumably, the cut-off point is somewhere between pipe-cleaners and two trans-Atlantic flights. Could I have bought one ticket? Did you want me to go on holiday without my wife? Or her to go without me? If so, why are you trying to force us to take separate vacations? Is there something I should know? Well, I’ve said my bit, and—despite your heroic efforts to stop me—I have purchased the tickets for our trip. 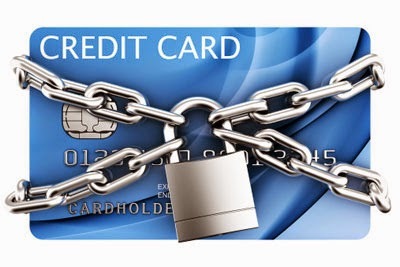 I suppose now it’s best to just let it all go and put the credit card in a safe place where it can’t do any mischief. Or at least until I need more pipe cleaners. Next time don't press anything on your phone, then they're more likely to put you through to a human being! Our bank is quite jittery about security, and we had a similar problem when we bought a laptop. Luckily we were able to ring and speak to a real person. I've since learnt to send them a message when we're traveling or about to buy something big! Also, I now know what to press on the phone to get put straight through to a human - of course, they don't tell you that in the options menu! You can get through to a human?!? Wow. Actually, I do understand their need for security, but sometimes I think they go a bit far. I mean, I was on the phone with the guy and he was clicking the button and -- lockdown! What am I to do then? I can't call the bank. But, when I did get through to them they said the same thing you advised--call them and warn them before you do it. I'll have to try that next year.